The Quy Nhon General Port in central Binh Dinh Province has been overloaded in recent years, having to handle nearly 2.5 times its designed capacity annually. Despite temporary measures being taken, the port faced numerous obstacles in handling the increasing amount of goods it had to service. 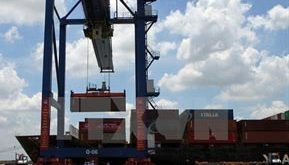 Chairman of the board and the port’s director general, Nguyen Quy Ha, said there was an increase of 15 per cent in the amount of goods the port had to service in the first half of the year, compared to the same period last year, up to nearly 4.6 million tonnes of goods. 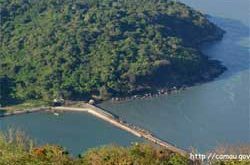 Ha noted that this figure well exceeded the designed capacity for a general port, such as Quy Nhon Port. During the last three months, the port experienced numerous bottlenecks, even with all of its available facilities being operated on a 24/7 basis. The chairman said the port operated five harbours, which were only designed to service ships with DWT capacities of up to 30,000. Even after the port carried out various make-shift modifications to allow it to service ships with 50,000DWT, a large number of even larger ships had to wait up to 12 days before their cargoes could be loaded or unloaded. He noted that the situation would only get worse, as the province has become a livestock feed manufacturing centre and the number of shipments, as well as the size of the ships, would continue to grow bigger. Dam Huu Hanh, a Quy Nhon-based company specialising in agriculture products, said all of his company’s supplies were delivered through the port. The often clogged port resulted in delays of cargo and financial losses, not only for his company but many others who had to rely on the port’s service to move their goods. According to a report made by the province’s authority and the Viet Nam Marine Administration, the Quy Nhon General Port would have to service up to 15 million tonnes of goods due to increased import/export activities in the Central Highland and the South Central Coast by 2020. However, many experts pointed out that raising the port capacity from its current 3.5 million tonnes to 15 million tonnes in just five years will prove to be a very challenging task if it was at all possible, given the province’s financial and management capacity. A number of projects were implemented to improve the port’s capacity, as well as its infrastructure, including the construction of two new harbours for 50,000 DWT ships and various storage and service facilities designed to handle large container ships. The Quy Nhon Port is under the management of Viet Nam National Shipping Lines (VINALINES). The State-owned group, however, has been undergoing a transformation period and plans to withdraw 49 per cent of its capital from the port. The much needed investment to improve its infrastructure and capacity, therefore, are likely to be even further delayed.